Ideal for mid-sized and large workgroups, the Lexmark C734dw delivers excellent colour quality and high-speed printing up to 28 ppm in both black and colour. 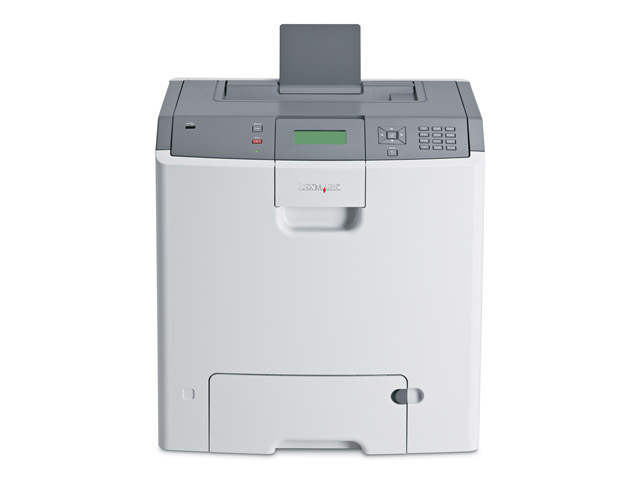 With its extra-large paper-input capacity and flexible media support, the Lexmark C730 Series is ready for all your high-volume jobs, ensuring you less intervention and enhanced productivity. You can also print on a wide range of paper types, from envelopes and labels to card stock. Printing responsibly means everyone wins – your business, your budget and the environment! Lexmark C730 Series printers are eco-designed and come with a vast range of features to help you print greener at every level. With Lexmark’s instant-warm-up fuser, your printer will be racing through documents in the time it takes many other printers to even wake up. In addition to getting your print jobs in your hands faster – just seconds from a cold start – you’ll also benefit from increased efficiency. So you save time, energy and money all at once! Going far beyond quality, these high-powered partners offer you the tools and technology you need to save time, lower costs and print more responsibly for the environment – in colour! Lexmark's 1-Year Onsite guarantee on the Lexmark C730 Series provides added peace of mind. Enhanced service offerings may be available by contacting your Lexmark representative or visiting www.lexmark.com. 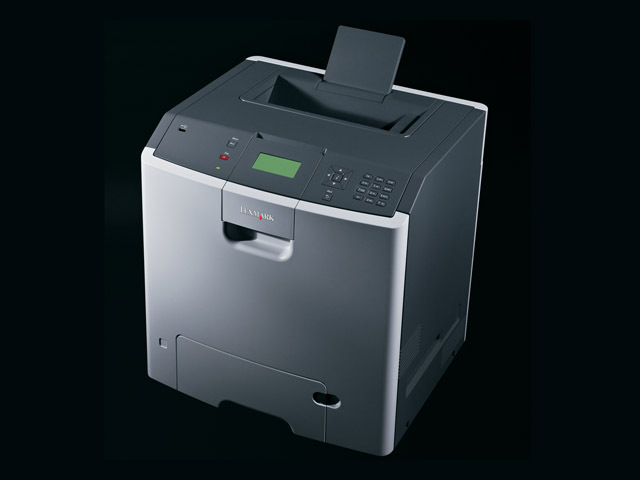 Optimize your printer's performance and investment value by using genuine Lexmark supplies, service and parts. So today the question is no longer, can you benefit from colour? The question is, how can you BEST benefit from colour? The Lexmark C730 Series delivers the answer. Lexmark Cartridge Collection Program helps reduce landfill. Colour can bring added value to all areas of your business, from marketing and communication to real estate and finance. A 2007 InfoTrends study shows that invoices produced in colour improve payment response by almost 30%, and customers are more likely to pay the full amount! Eco-Mode reduces power consumption and Quiet-Mode reduces noise emission. Duplex printing, print and hold, multi-up and support of recycled paper help reduce paper consumption. Why not eliminate the time and expense so often involved in outsourcing colour print jobs? With dazzling Lexmark colour, you can produce high-impact documents in-house. Plus, you benefit from a complete range of colour-access and control tools to ensure your workgroup is printing efficiently and intelligently. Studies consistently show that colour enhances communication both internally and externally. It improves readability, comprehension and brand recognition. And it simplifies buying decisions by helping customers cut through the clutter of competing messages. The Lexmark C734dw gives you total confidence in colour printing, delivering excellent colour quality, fast print speeds and business-class reliability to keep up with all your high-volume needs. Designed for large and mid-sized workgroups in busy office environments, these printers fit easily on your desktop or in a small workstation and offer a wealth of big-business benefits, including tremendous input capacity, paper-saving duplex printing and much more. Maximise your uptime and enjoy fast, reliable, stress-free printing. Boasting a rock-solid design, advanced functionality and security, Lexmark C730 Series printers feature sophisticated intelligence that makes them easy to install. What can great colour do for you? A little colour can go a long way! Duplex models are Energy Star compliant. Take a load off your IT department. These printers are network-ready and very easy to set up. If you have multiple Lexmark devices installed, the Lexmark Universal Driver offers even easier deployment. Once up and running, on-screen custom messaging makes life simpler too by providing users with crystal-clear information, like ‘Toner low, call placed’. What’s more, Lexmark MarkVision Professional software provides simplified remote management and automated tools to keep your workday flowing! From network security to user-access restrictions, Lexmark offers you a wide range of features to help protect your valuable data and ensure the integrity of your network. In addition to IPSec, SNMPv3 and 802.11x network security, the Lexmark C730 Series offers an alphanumeric pad for easy PIN authentication, plus encryption and disk wiping to secure your optional hard disk. For Lexmark, great colour is more than a marketing promise – it’s a serious investment. Our development team is dedicated to delivering breakthrough colour technology that truly enhances the value of your print communications. Lexmark’s advanced colour-laser toner formula, combined with new temperature- and humidity-sensing technology, ensures excellent colour reproduction and consistent quality from first page to last, across various media types and work environments. One person’s setback should never mean a bottleneck for the whole workgroup! Say someone launches a print job that requires labels, but there are none loaded. Why lose precious uptime? Lexmark’s Job Waiting feature will simply hold that job aside while everyone else goes on working without interruption (hard disk required).